TOKYO – Toyota's operating profit remained steady in the latest quarter as cost increases and lackluster sales offset a more profitable product mix and foreign exchange windfalls. 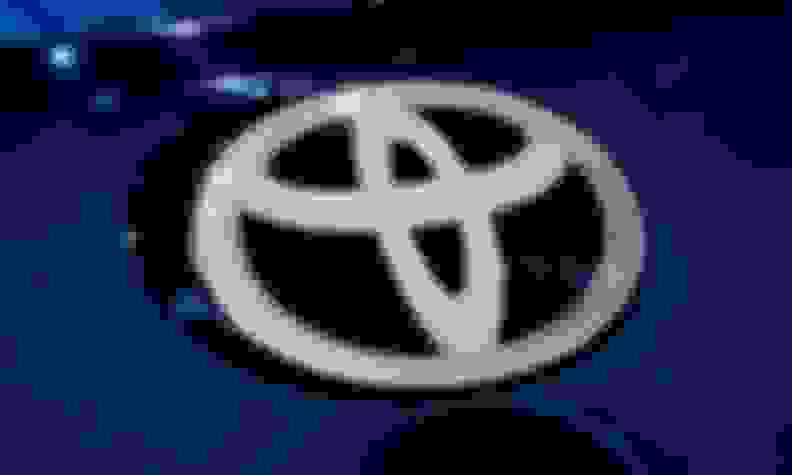 Operating profit advanced just 0.3 percent to 676.1 billion yen ($6.13 billion) in the company's fiscal third quarter ended Dec. 31, Toyota said Wednesday. Net income, by contrast, plunged 81 percent to 180.9 billion yen ($1.64 billion). The net result in the latest quarter tumbled for two reasons. Firstly, last year’s net income was inflated by a one-time gain from U.S. tax reform. Secondly, this year’s earnings were hit by a separate one-time expense of 395.4 billion yen ($3.59 billion) for unrealized gains and losses on equity securities. That charge resulted in a change in accounting methods. Revenue advanced 2.6 percent to 7.80 trillion yen ($70.75 billion). Global retail sales increased 2.9 percent to 2.71 million vehicles in the October-December period, including results from its Daihatsu small-car subsidiary and truck-making affiliate Hino. Worldwide wholesale volume dipped 0.3 percent to 2.28 million vehicles. In announcing the earnings results, Operating Officer Masayoshi Shirayanagi lifted the company's sales outlook for the current fiscal year ending March 31. It now expects retail volume to reach 10.55 million vehicles, thanks to improved sales in Japan and China. The profitability of Toyota's model mix improved in the quarter, as the automaker shifted its lineup more toward higher-margin light trucks and clamped down on incentives. A tailwind of favorable foreign exchange rates also buoyed results. But increased costs, for labor, r&d and other outlays, cut back the gains. Toyota is trying to refine its incentive strategy for a more tailored approach. In the October-December period, average spiff spending on Toyota and Lexus brand cars by Toyota Motor Sales U.S.A. dropped 7.1 percent and was about $1,200 below the industry average, according to figures from Autodata. Average industry outlays declined 3.4 percent in the quarter. The Toyota brand's incentives on passenger cars fell 15.3 percent in the October-December quarter, from a year earlier, to an average of $2,600 per vehicle. Average spending on light trucks increased 0.7 percent to $2,431, according to figures from Autodata. North American wholesale deliveries declined 7.5 percent to 680,00 in fiscal third quarter, while regional operating profit retreated 2.2 percent to 26.4 billion yen ($239.5 million). In Europe, wholesale volume fell 2.1 percent to 232,000 vehicles in the quarter. But European regional operating profit improved 7.3 percent to 25.1 billion yen ($227.7 million). Japan was Toyota’s biggest profit center and second biggest market after North America. Citing the impact from the accounting change for handling equities and securities, Toyota cut its outlook for net income in the current fiscal year ending March 31, 2019. Toyota now expects net income to fall 25 percent to 1.87 trillion yen ($16.96 billion) in the current fiscal year, a much steeper drop than the 7.8 percent decline it had earlier forecast. Toyota kept is operating profit outlook unchanged. Toyota's global retail volume expanded 2.0 percent to 10.59 million vehicles in calendar year 2018. It expects global sales to increase 1.6 percent to 10.76 million vehicles in 2019.